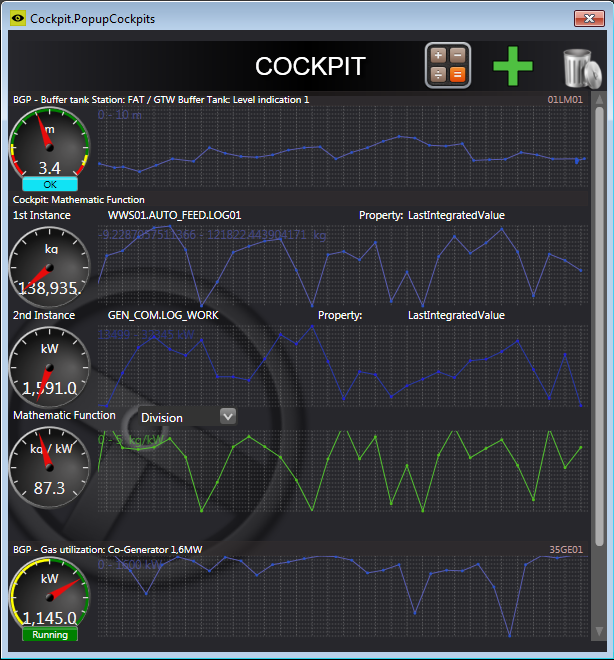 The simple way to keep the overview of the plant performance. 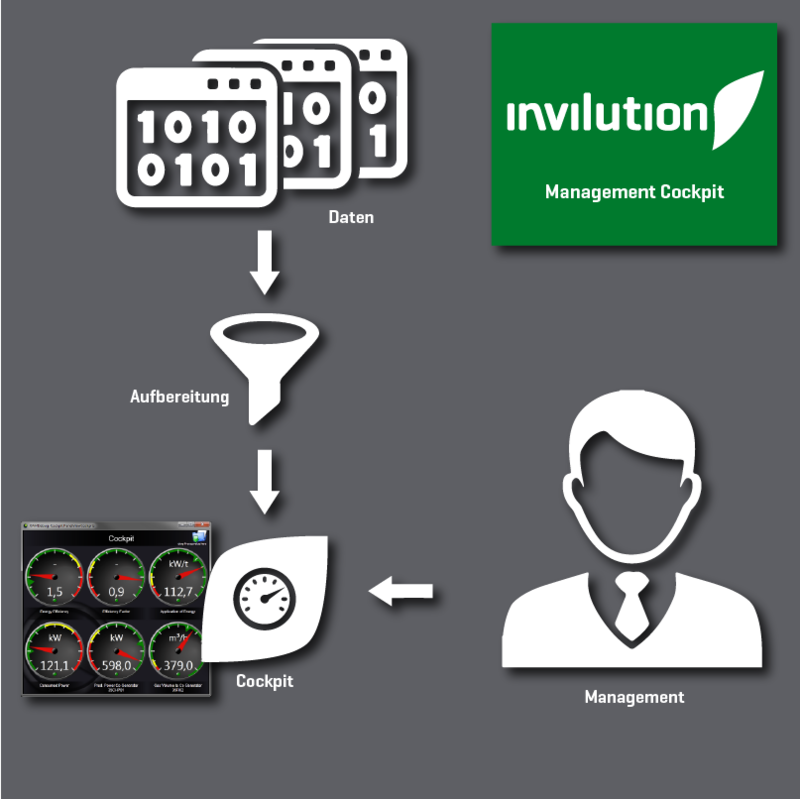 ınvılutıon offers the management cockpit with performance indicators. It is a tool which is quite popular among managers. Why? Because it shows the current consumptions in relation to the production. It can be configured for different perspectives and for individual for each user. All important data in relation and visible at a glance.